The launch trailer for the upcoming episodic graphic adventure game Life is Strange 2, the third instalment in the Life Is Strange series and the second developed by Dontnod Entertainment. The game, played from a third-person view, follows siblings Sean (16) and Dan Diaz (9) as they embark on a journey abroad after being forced to run away from home due to a tragic incident in Seattle which also involved a police squad. The two brothers, who are also trying to conceal a sudden and mysterious supernatural power, head to their home in Puerto Lobos, Mexico, but they soon realize life on the road is though. The official synopsis also reveals that Sean, now totally responsible for his much younger brother, “begins to realize that his decisions will impact their lives forever”. Players take control of Sean, who can interact with the environment, obtain objects, and talk with non-player characters via dialogue trees. The song used in the trailer is the 2018 single “Colour to Colour” by British indie rock band Seyr, from their Radar – EP. 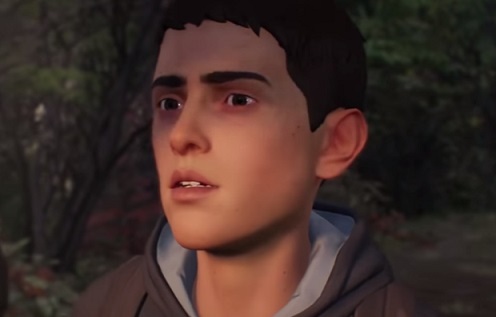 The first of 5 episodes of Life is Strange 2 will release September 27, 2018 on for Microsoft Windows, PlayStation 4, and Xbox One. In the meantime, it is available for pre-order.